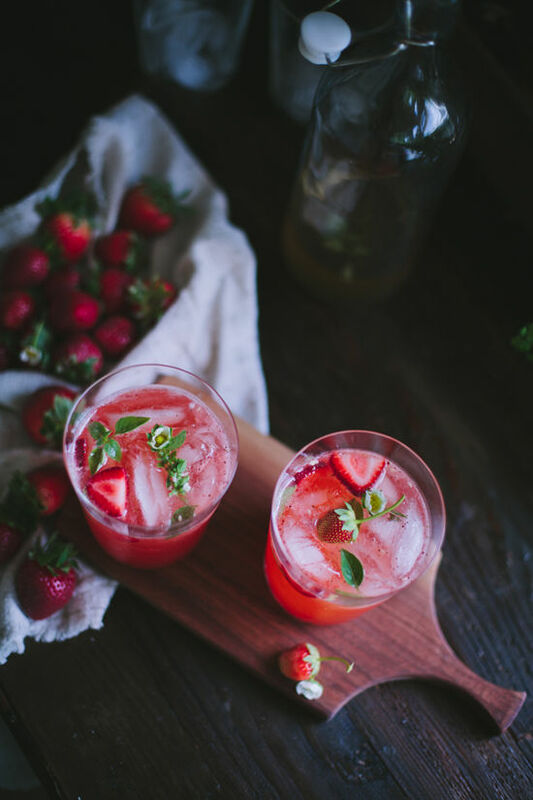 – For the strawberry basil daiquiris, pour all ingredients into a cocktail shaker and shake until combined. Strain out into serving glasses. Makes two servings. – For the basil simple syrup, bring the water and sugar to a boil over high heat. Reduce heat to low, add the basil leaves, and simmer for 3 minutes. Remove from heat and allow to cool to room temperature. Strain out the basil leaves and keep the infused syrup refrigerated until use. 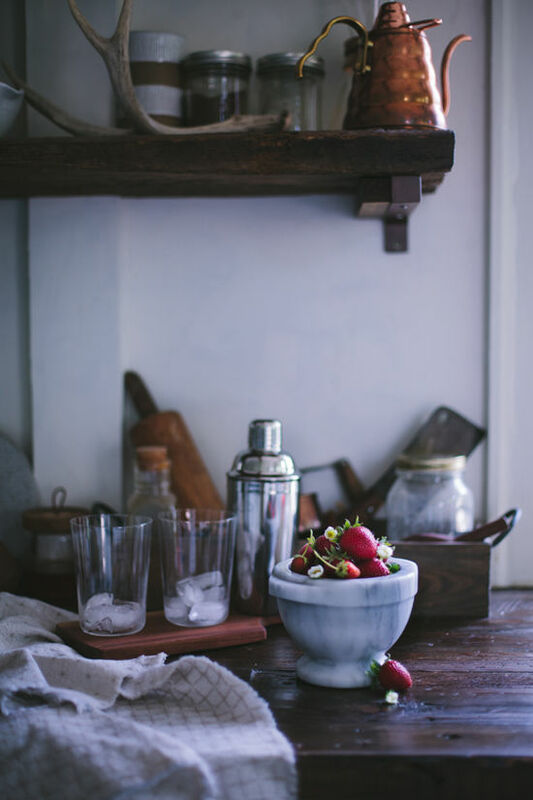 recipe + photos by Eva Kosmas Flores of Adventures in Cooking for designlovefest– want more food posts? go here! These look incredible, I’ll definitely be trying out this recipe on the weekend! yum! So bright and colorful! These look so delish. 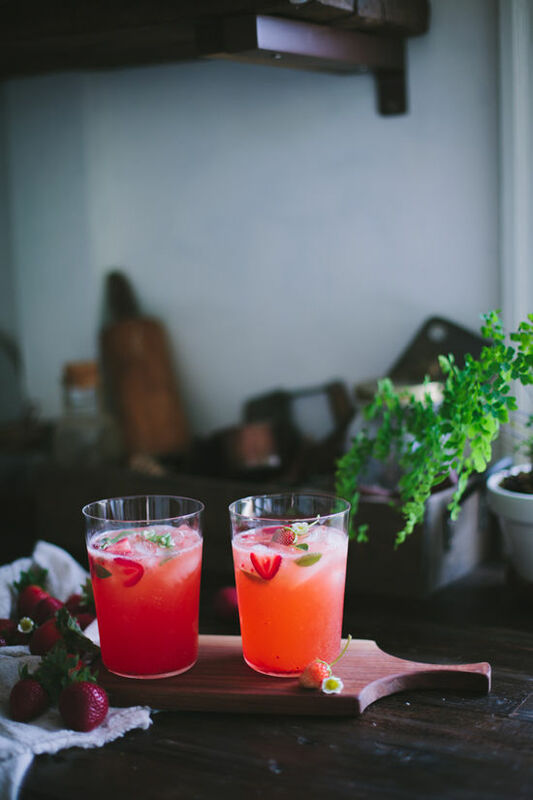 With the heat wave we have been having, I can’t think of a better drink to kick back and cool off with! These are being tested out ASAP! Looks so good! 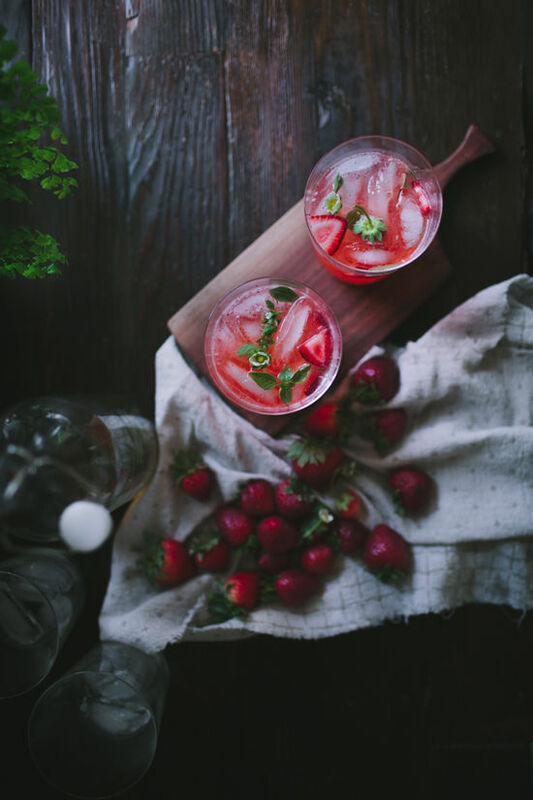 Basil and strawberry are so good together– Why haven’t I made a cocktail like this yet?! Thanks for sharing the recipe! Mmm love basil in cocktails- it’s so yummy! Thanks for the recipe! These looks absolutely delicious and the lighting is lovely! 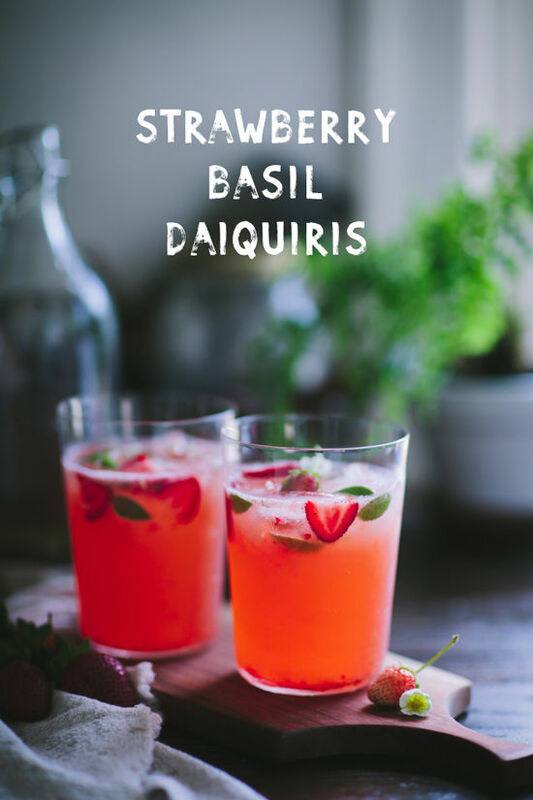 Basil and strawberry are a beautiful combination. These are so gorgeous. They make me happy just looking at them! You can try this with most fruit and It’ll work just fine, maybe skip the balsamic.And yes, fsoren fruits are fine, I used to do it all he time.But I suggest pushing the sauce﻿ throught a sieve to get rid of the little seeds. Looks really refreshing. Thanks for the idea – I think I can also make this using other fruits I love. Yammy . 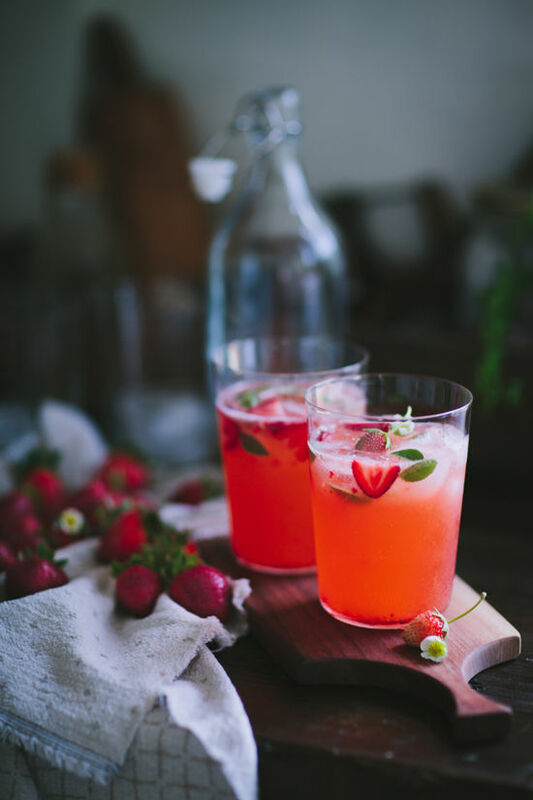 With the heat wave we have been having, I can’t think of a better drink to kick back and cool off with! These are being tested out ASAP! Hi, Oh my gosh! This is a great idea! And it would be great on other things as well :-).